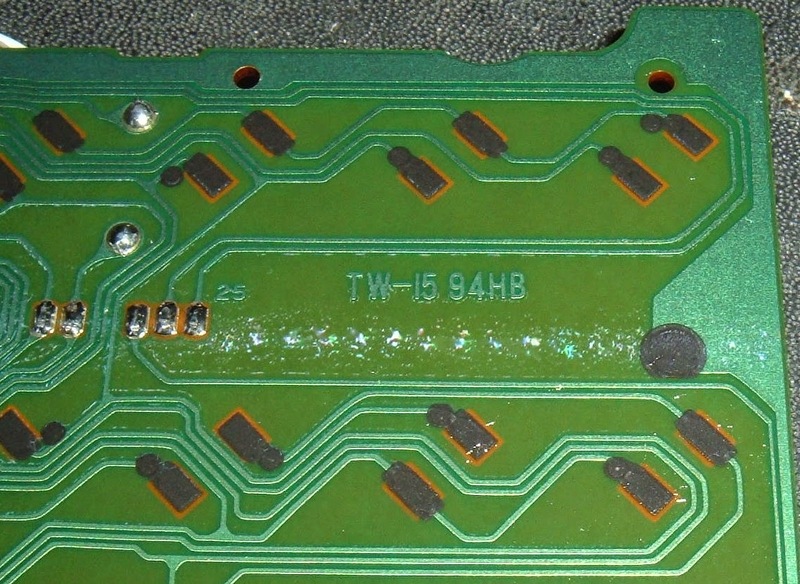 The Commodore 128 repair is coming on well, but some of the keys are not working. 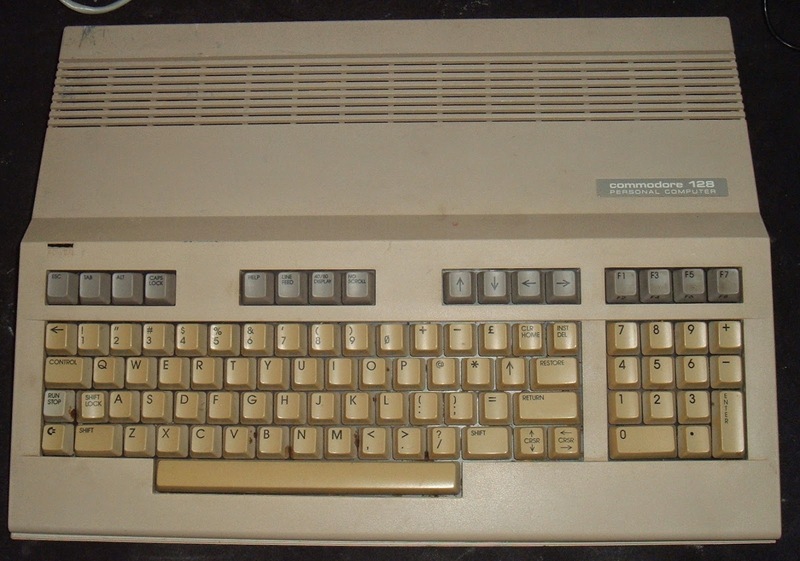 The keyboard is not in too bad condition, it needs a good clean, and there is some yellowing to the keys (apart from Run Stop for some reason). Sometimes if the odd key is not working, repeatedly pressing it can bring it back to life, but the best option is to clean it properly. The procedure is the same as the Commodore Vic 20 / 64 keyboards, a few steps less than the cleaning the keyboard on the Commodore Pet. The first step is to remove it from the case, the LED board is held in place under the keyboard with a small back spacer (although with this one, it came in a separate bag with the rest of the screws). 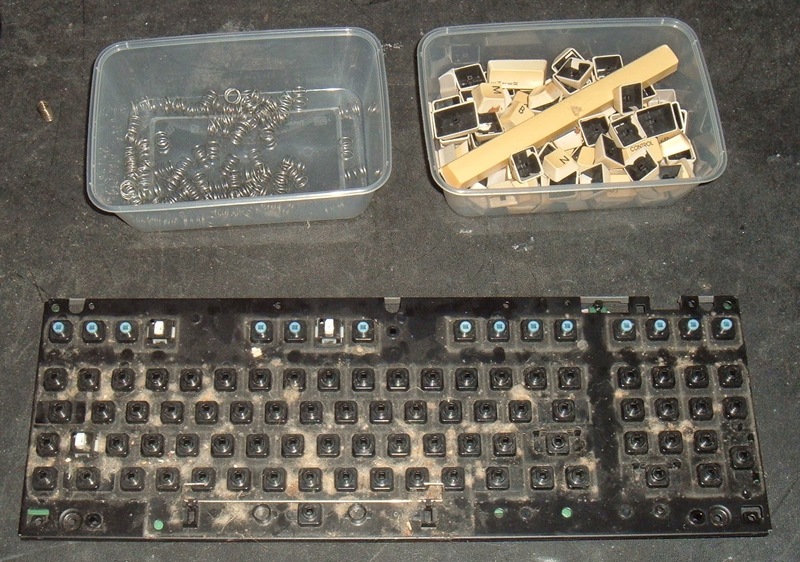 The keyboard can then be removed. The keys are removed using a key puller, trying to avoid the springs going everywhere. The keyboard has two additional smaller springs, so keep these separate. The box of keys can then go off to be washed in hot soapy water. Shift Lock, Caps Lock and 40/80 Column are mechanical latching switches, and are wired separately to the back of the keyboard. Theses need to be desoldered before the PCB can be removed. The PCB is held on with dozens of tiny screws, remove those, but keep the frame down of all the plungers will fall out. 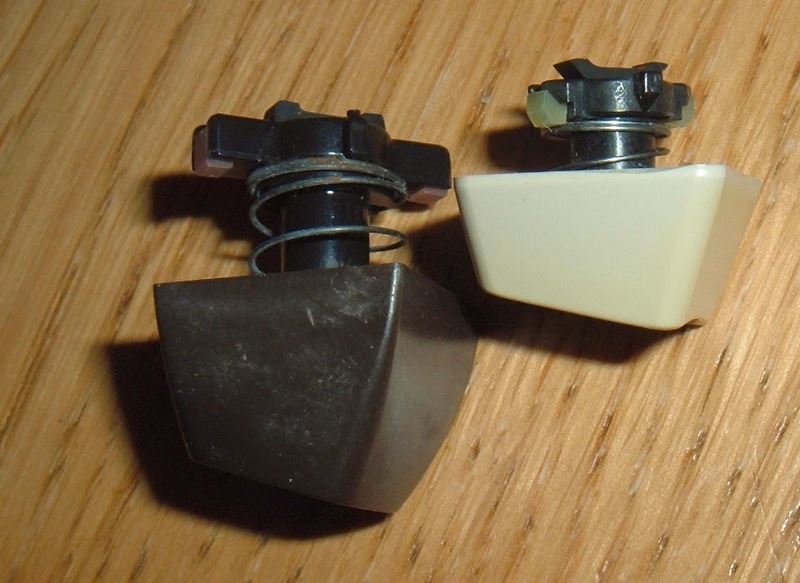 The contacts on the plungers and the PCB can then be cleaned with contact cleaner. The principal of the keyboard is fairly simple, the PCB has two carbon covered pads for each switch. 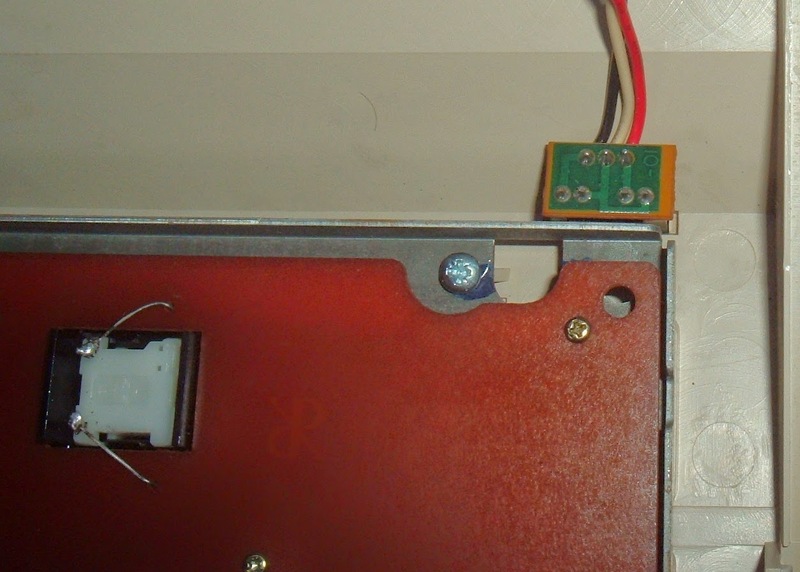 The plunger is held up by a spring, and when pressed down, the pads on the bottom of the plunger connect the two pads on the PCB together and the computer registers the switch pressed. 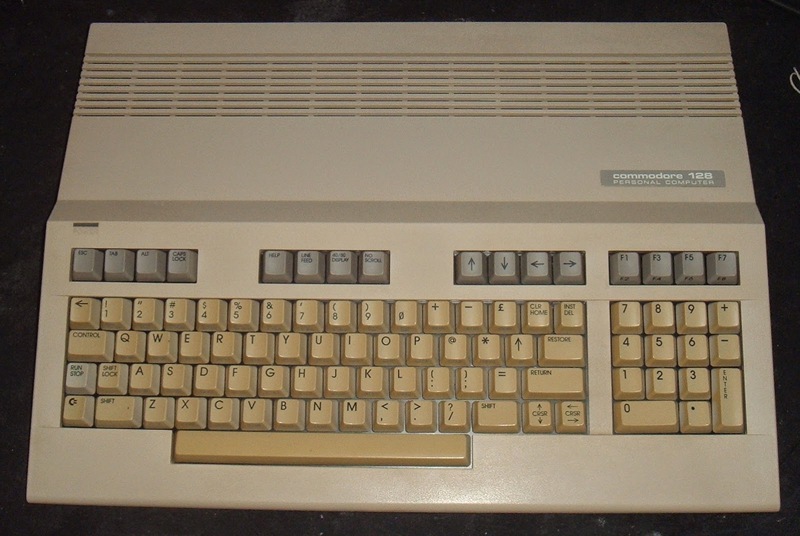 Whilst the principle is the same as the standard C64/VIC20 keyboard, the C128 keys are about half the height. With the PCB cleaned and reinstalled and the switches soldered back on, the base is cleaned up. Once the keys have dried, put all the keys and springs back on. Be careful with the screws when reinstalling in the case. Some of them have spacers in place to stop the screw going through the front plastic. The original screws were a bit tarnished and the spacers a bit fiddly, so I just went for some shorter screws. Back in the Commodore 128, all keys are now working. Still a bit yellow, maybe a candidate for retrobrite?